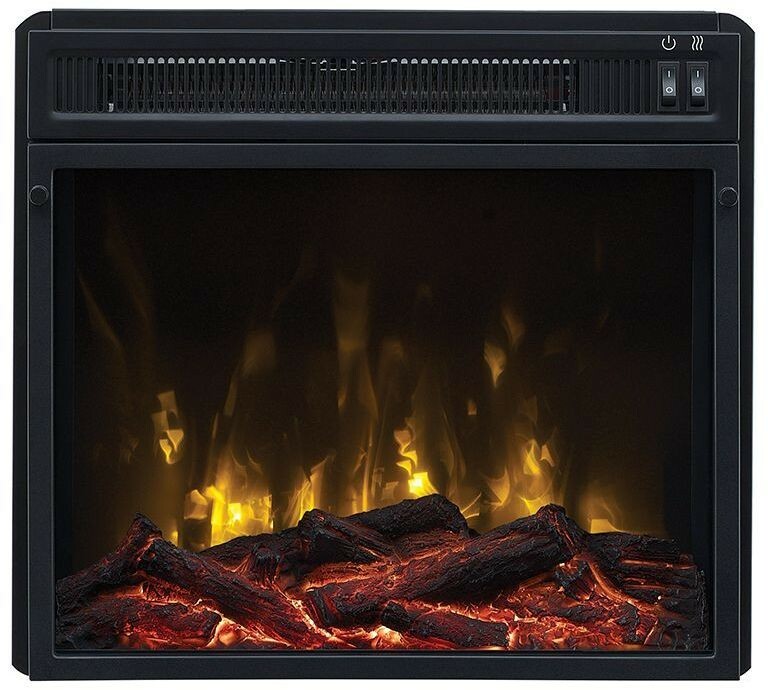 To warm up on a cold night, cozy up to this electric fireplace to relax and enjoy your favorite drink. 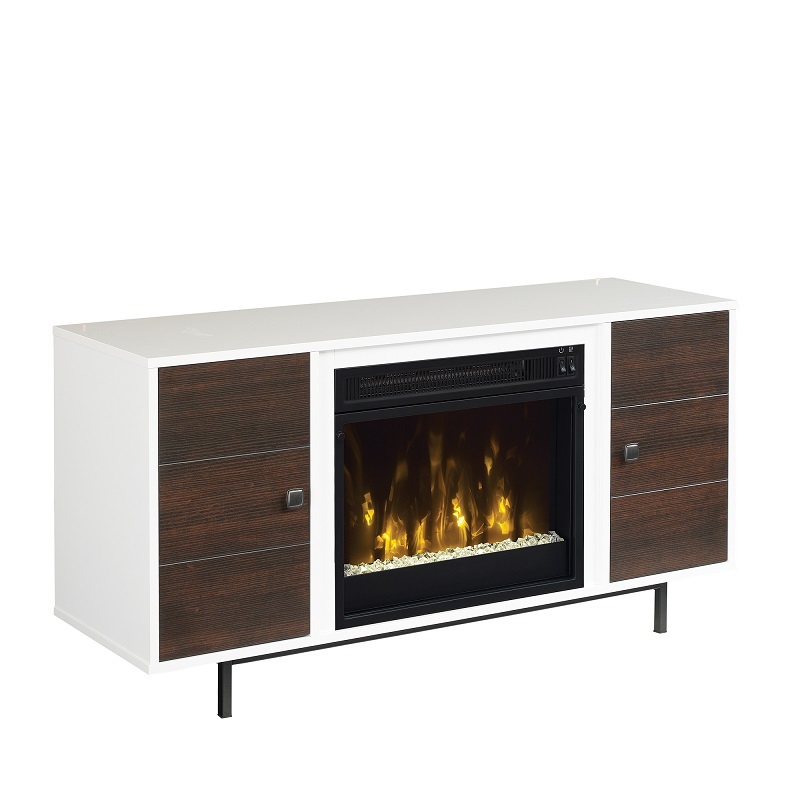 This TV stand with an 18" ClassicFlame electric fireplace warms up to 400 square feet and is housed in a striking two-tone display. 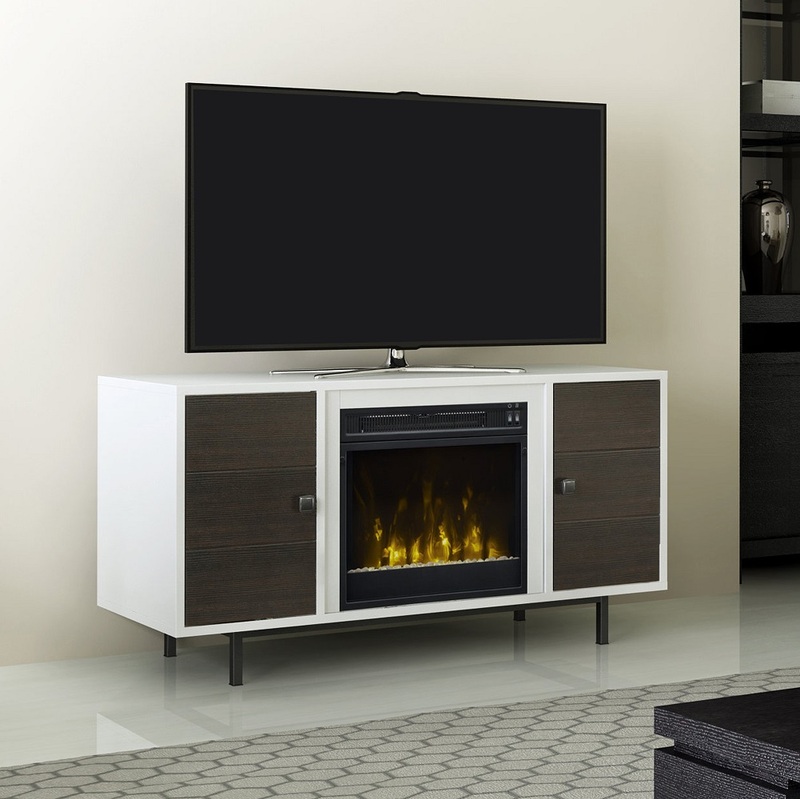 The High Gloss White TV stand features Midnight Cherry finished doors with embossing for beautiful contrast. The adjustable shelves offer customizable storage for anything required in your living space, while the Matte Black powder coated metal legs and Dark Pewter hardware blend well with existing décor. You can activate the flame effects with or without heat to enjoy a gentle rolling fire all year long. 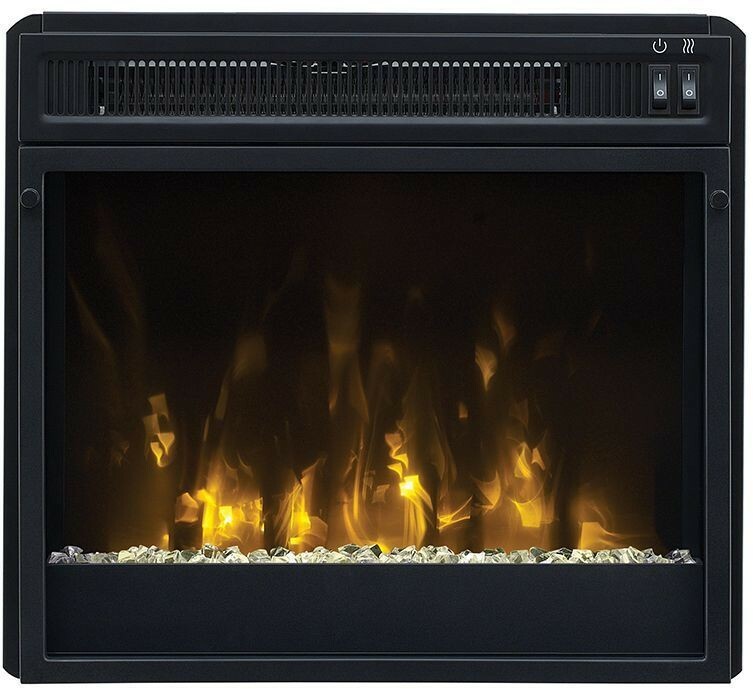 This electric fireplace stays cool to the touch and is energy efficient and eco-friendly. 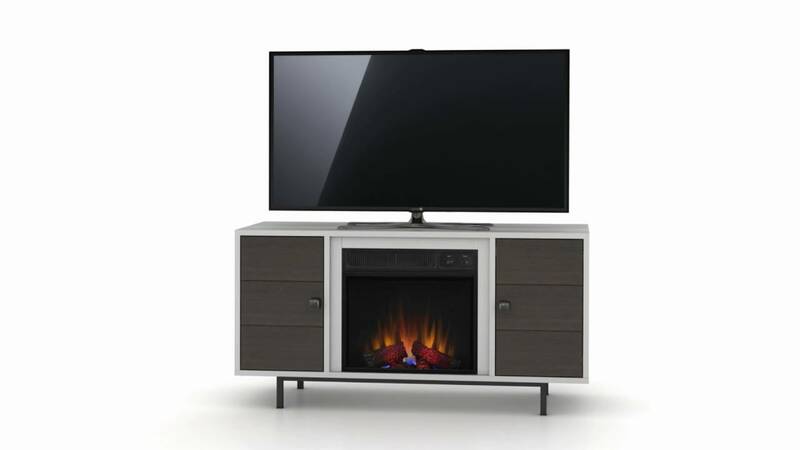 This TV stand accommodates most flat screen TVs up to 55” and up to 45 lbs. 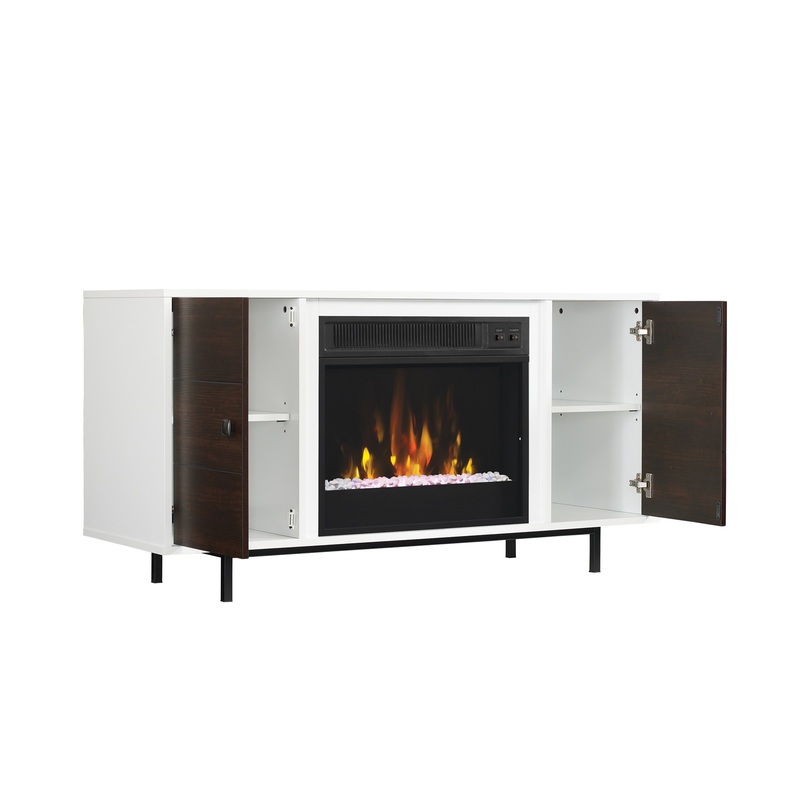 The 18” ClassicFlame electric fireplace ships as a set with this TV stand in one box. All hardware is included and it assembles easily for simple set-up and quick enjoyment. Tipping restraint hardware included to help prevent accidents and damage to the TV stand. A touch-up pen is included to keep your TV stand looking fresh and new. Accommodates most flat screen TVs p to 55" or up to 45 lbs.